Proposed plans for a controversial 19 holiday chaletsto be built on a rural leisure complex near Selkirk have been rejected. 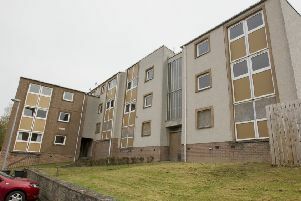 Alan Williams, owner of the Whitmuir Hall estate since 1989, had previously sought outline consent for the development from Scottish Borders Council’s planning committee. The bid had the support of local planning officer Alan Evans who concluded it would “positively contribute” to tourism in the region. However, the proposal also elicited 42 letters of objection, with dissenters fearing an unacceptable increase in traffic and a detrimental impact on nearby Whitmuir Loch, which is a designated site of special scientific interest (SSSI). And at Monday’s meeting, Councillor Michelle Ballantyne, whose Selkirkshire ward includes Whitmuir, moved for refusal. She recalled last September’s meeting of the committee at which a decision was deferred to allow Mr Williams the time to provide details of his investment plans for the entire site which she described as “going steadily downhill”. At that September meeting, an agent for Mr Williams said his client required consent for the lodges to generate funds and thus “pump prime” the investment required on the wider estate. But councillors heard this week that no such information had been forthcoming and that the same agent had indicated in January that the “in principle” nature of the application meant there were “no details on which to base financial viability and investment conclusions”. The agent noted that the swimming pool at Whitmuir had recently been subject to a £10,000 investment and he considered that enough material had been submitted to allow the committee to support the holiday lodges in principle. “I said last September that the whole Whitmuir complex needed investment in existing facilities to generate the resources for holiday lodges, not the other way around,” she said. “In my view,” she continued, “nothing has changed and without the information we asked for it is impossible to say that the economic case for these lodges outweighs the adverse impact on the landscape setting. Her motion to refuse outline consent, seconded by Councillor Ian Gillespie, was unanimously carried.